It turns out that Ultra HD Blu-ray support for Dolby Vision is on the way and awaits completion of a special system on a chip (SoC) to properly handle the single. 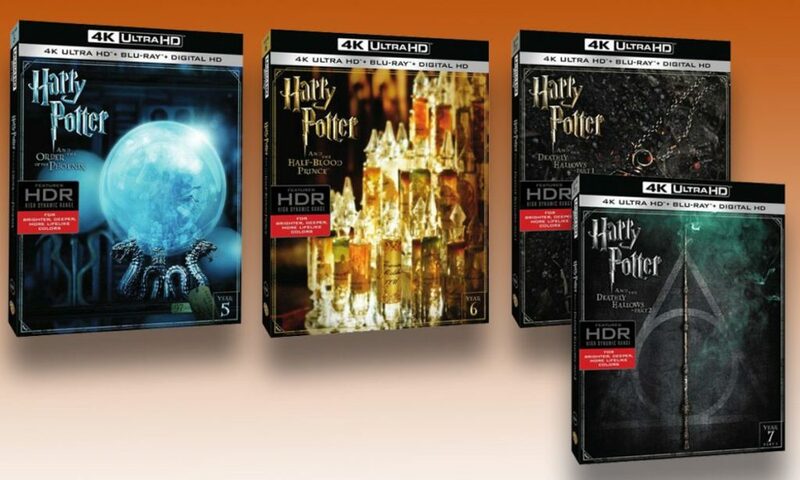 Warner Bros just announced that the upcoming Harry Potter 4K UHD-BDs will be mastered in both Dolby Vision and HDR10 HDR. Whether it's Atmos, DTS:X, or Vision I have no interest in having 12-15 speakers in my living room. Maybe one day when I have a dedicated home theater room.
? Not following you there goof. DV is a form of hdr. I was referring to Atmos and DTS:X. Vision is just something else to sell more TVs. Ahh. Fwiw I'm enjoying DV on my set. ImRizzo and GLOW like this. Not really. HDR is the biggest improvement to video since HD. And Dolby Vision is the best HDR format available. I have my eyes set on one of the new LG OLED's for sure. I recently(Dec.) got the B6P55 OLED and all I can say is WOW ! Yeah, I really want that 65" and hoping for a sale later this year. Should I Buy a Premium 2016 4K HDR TV or Wait for the 2017 Models? Just scroll down to the LG OLEDs. Damn you Lee. Now, I may have to wait until next year as that wider color gamut sounds enticing. There is no way you can see a 2% difference in a wider color gamut that is already 97% (of P3) and that's all the difference there is between the 2016 and 2017 LG OLED as far as WCG. The same for an increase in brightness of 25%. It just isn't a big enough increase to notice. The longer you wait, the better the TVs are going to get. Think of 10 bit WCG/HDR as being in the same time frame as 4 years after HDTVs came out: 720P was the norm remember. Then came 766P and finally 1080P "full HD." Lots of improvements coming for WCG/HDR in the next 2 to 3 years. And the longer you wait, the fewer years you have left to enjoy this stuff. It's always been that way Lee. And the longer we wait, the faster technology advances too. There is no perfect time to buy, something better will come out the very next year. But it's nice to see a lot more Dolby Vision TVs coming out this year. I chose to buy last year and haven't regretted for a second. My update cycle averages 3 years but since I bought a flagship model, I'm probably going to wait 4 more years before I upgrade again.